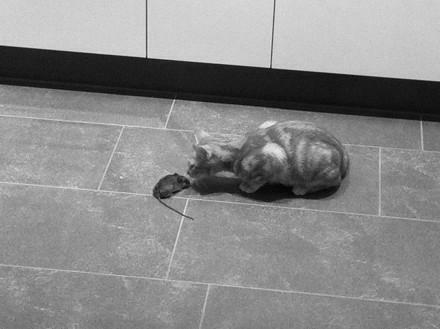 cat &amp; mouse. | spielwiese. november 11, 2012 at 12:55 by felix. 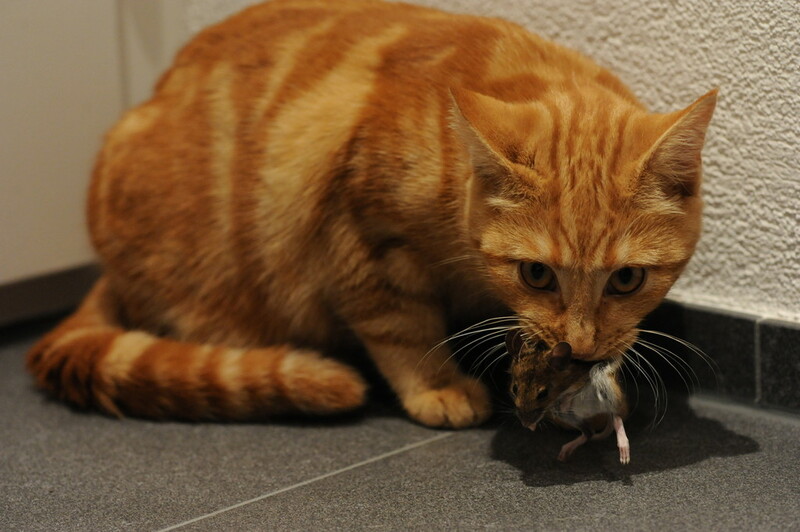 yesterday my cat miukumauku had her first mouse (according to kornel, it’s a wood mouse). 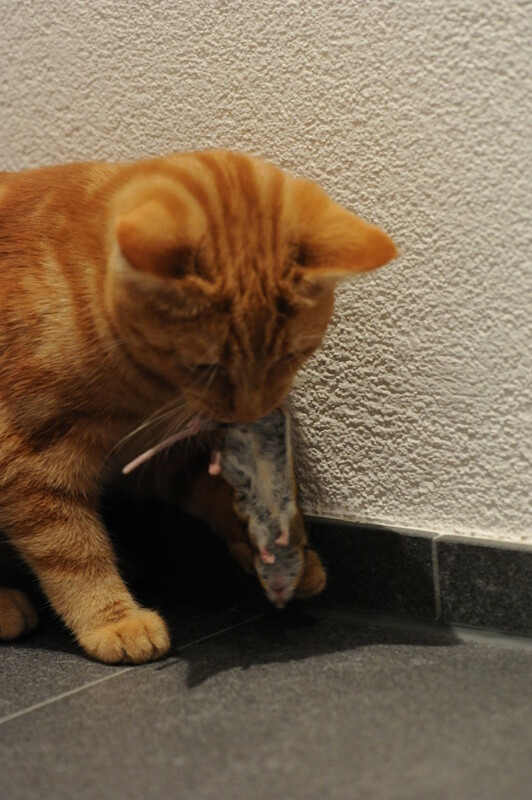 well, she didn’t catch it – that was done by the black cat, the only one of our cats who actually hunts –. but then, she somehow took it off the black cat, proceeded to play with it, while running around the appartment with the mouse in her mouth while growling (scaring off the other cats, most of whom didn’t care anyway, and in part maybe because she didn’t really know what to do with the mouse, i think). 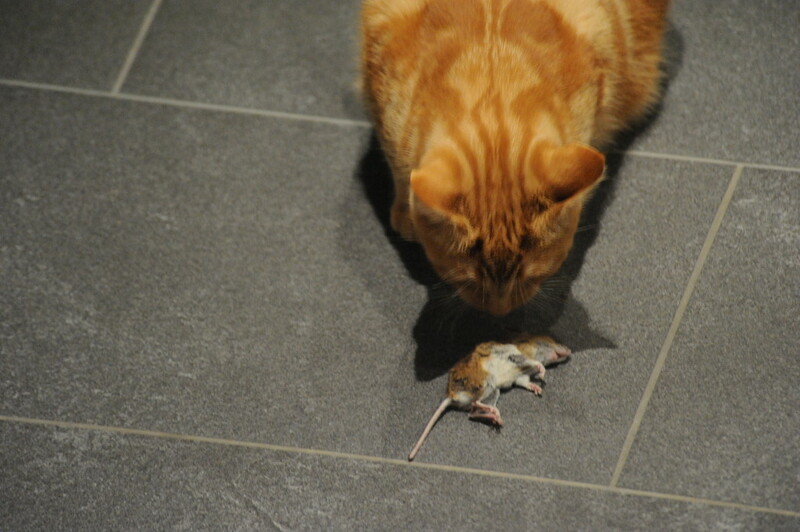 then, she finally managed to kill the mouse, and after some more playing proceeded to eat it. completely, with bones, skin and tail.